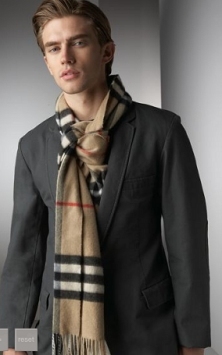 There is an elegant quality that comes with a scarf, giving the man who dons one an extra touch of swagger. In the winter time, you’re probably going to be wearing the same couple of coats throughout the whole season. 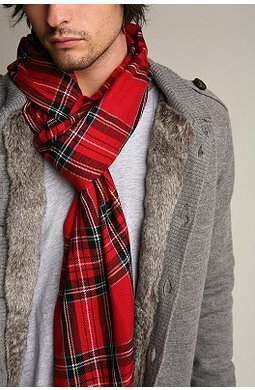 A scarf will add the perfect amount of noticeable flair and variety to your outfit, not to mention the extra warmth. There are so many ways you can wear a scarf. The most practical ways will only take you a few minutes to learn. Others, will take no effort at all. Step 1 Let the middle of the scarf fall on the back of your neck with equal length on both sides. Step 2 Take one end (A) and bring it towards the other (B). Step 3 Let A pass from under B. Step 4 Bring A upwards to make a knot as illustrated. Step 5 Adjust both the ends equally facing downwards. This type of knot is great when you’re wearing an open jacket, and you want the same appeal that a necktie has. It also works great when you’re wearing a turtle neck or a high collar jacket. Step 1 Fold the scarf according to the basic fold 1 and let it hang around your neck equally on each side. Step 2 Bring one side (A) towards the other side (B). Step 4 Bring A towards the front. Step 5 Let A pass through B again to form a knot. Step 6 Adjust both the sides facing forward as shown in the illustration. This knot is the same as the first except that it goes around the neck twice. 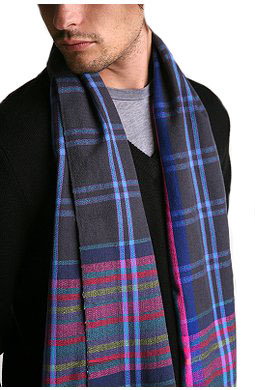 This techinque works best with a longer scarf. Step 1 Fold the scarf according to the basic fold 3 and then fold it again to form a sort of hoop. Step 2 Let the scarf dangle around your neck with the hoop on one side of the shoulder. Step 3 Take the other end (A) and bring it towards the hoop. Step 4 Let A pass through the hoop to make a European loop. Step 5 Tighten the loop to get the complete effect. This knot can be made shorter by folding the scarf in half again after the first time. 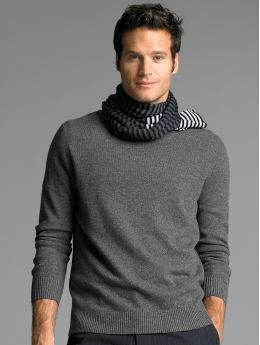 This type of knot goes well with a short jacket, which you can also tuck the scarf into and zip up. This is one of my personal favorites. It looks best in cold weather, and works well with both casual and business outfits. Step 1 Fold the scarf according to basic knot 1 and let it drop down your neck equally on each side. Step 2 Make a knot on one side (A). Step 3 Bring the other side (B) towards A. Step 4 Let B pass through A to form a knot. Step 5 Tighten the knot to get a beautiful fake knot. 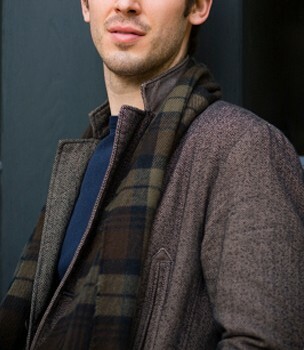 Tie your scarf as you would a regular neck tie – a Windsor knot looks best. This can only be done with a lightweight scarf. This is a very business appropriate look that would go create with a 3/4 length coat. Place the scarf around your neck so that the two ends are at your back, cross the ends at the back of your neck and bring them around to the front. This is great for a casual oufit. 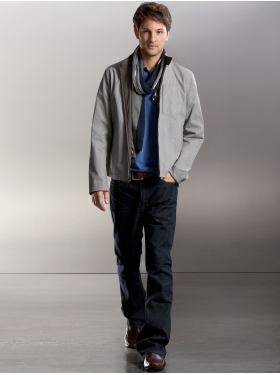 For example, a simple solid jacket with jeans. This one is so easy: Hang the full length of the scarf around your neck with one side hanging down about one foot more than the other, then take the long end and cross it over your neck, tossing it behind you and over the opposite shoulder. Simply drape the scarf around your neck and tuck it into your coat, covering the chest area left exposed by the coat’s neckline. If I’m wearing an overcoat, I like to do this, and close my jacket over it, checking that the scarf is evenly under my jacket collar. This is a brilliant idea and now I know au to tie a scarf in different swaggerful styles koz I were used to just one style. .great. kip up.